Imagine the wildlife that is gone, or soon will be, with nowhere to call home. The acres of forestry that will take more time than we have in our lifetimes, and maybe even our children’s, to grow back. Think about the affect that just those two things have on the ways our rivers flow and the type of climate changes those areas will now see and how this affects families that rely on hunting and fishing practices to feed their families and friends. Step out further and start looking at the homes that are complete ash, or so damaged by smoke and water that they might as well be gone, too. Family and friends that are missing or didn’t make it out. Family animals that are displaced or deceased. Farm animals that will cost more to treat than the profit they would've brought, because they had to be left behind, if they survived at all. And, while we see and hear about this devastation everyday, we are quick to turn the channel because we “are not first hand” affected. But, what happens when someone we love suddenly is looking for someone they love? Well, we tend to care a little more. I can tell you first hand I have been in this position a few times this year. 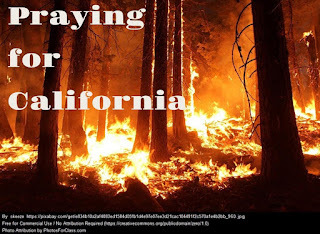 Both with friends who live in the Citrus Heights area, as well as north of there, and with the most recent Camp Fire, affecting Paradise and its surrounding areas. Sadly, both times it took me somehow personally knowing people affected to care as much as I should have because I have humanity. My own world has somehow become so small and I am ashamed to admit this. Just this evening, while speaking to one of my dearest friends I learned just how bad it is. The picture below was taken in Citrus Heights, CA - where she lives and I use to. 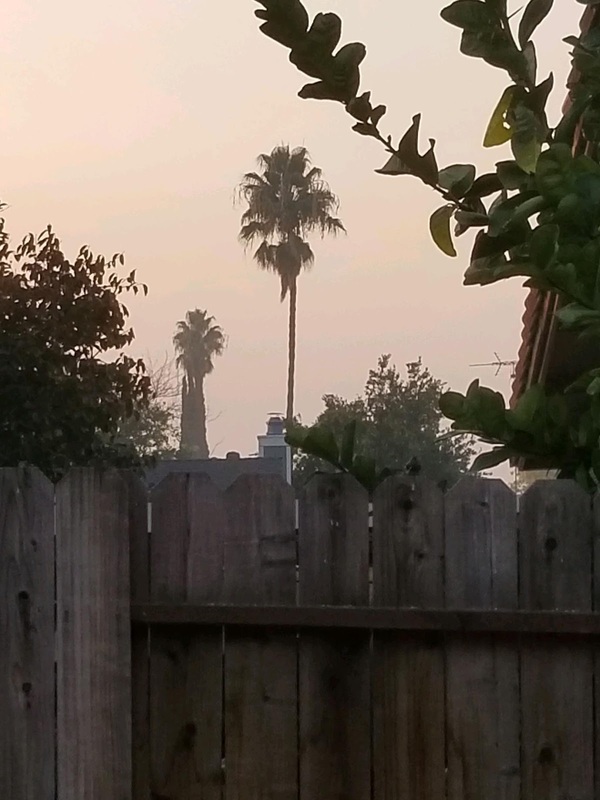 Citrus Heights in an hour and a half away from these fires and yet the picture below speaks for itself. All that haze is smoke that has settled into the valley. Children cannot even go to school because the air quality is so bad it is unsafe. Luckily there is always something we can do. I am positive there are far more places we could go, or more we could donate, but these are a great place to start. And hey, if you can, I am sure Wo "MAN" power would be appreciated. Grab a plane ticket and volunteer your time. The power of prayer, positive thinking and basic humanity go a very long way too. So, with that, we here at Busy Women's Health are praying for all those affected and doing what we can to help.